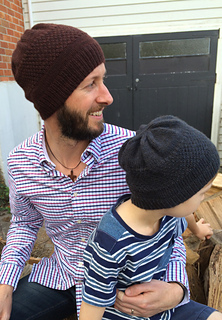 Roseneath 8ply is a classic reversible textured beanie that beautifully showcases your favourite wool. Named for the road that leads to Tarndie, the birthplace of Polwarth wool, Roseneath 8ply will keep your noggin toasty without weighing you down. 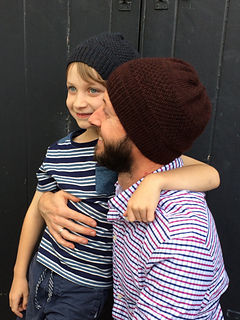 Choose a single colour for a reversible beanie, or mix it up with stripes of a second colour. Well suited to gradient yarn, Roseneath 8ply looks great with or without a pompom, making it a very adaptable pattern for most ages. 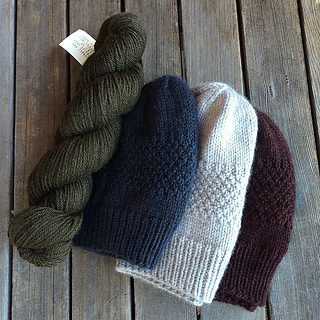 Samples knitted in a new hand-dyed range from Tarndie, in the colourways ‘Plonk’ and ‘Shearers Bluey’. A companion pattern to Roseneath, this pattern has been comprehensively re-written for 8ply yarn, fully test-knitted and professionally tech. edited. Both patterns can be purchased at a discounted rate in the Roseneath Collection e-book. 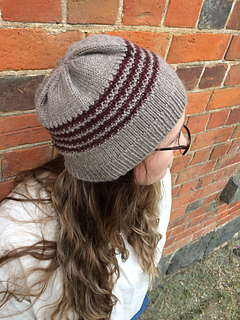 Alternatively, knitters who have previously purchased the 4ply Roseneath will receive an automatic discount when purchasing this version. 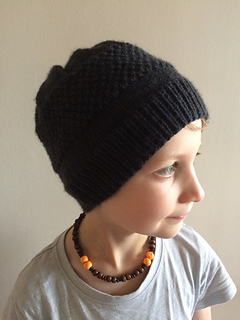 Roseneath 8ply is a stretchy beanie, designed to fit a wide variety of head sizes. Sizes are given as a guide only, and depth is fully customisable. Tarndie sells their beautiful 8ply Polwarth via their website. Stock up on extra if you’d like a pompom! Many thanks to Tom at Tarndie for yarn support.